Social media vector graphics of Twitter bird and logo, speakers, speech bottles, swirls, tv set, star shapes and scrolls. 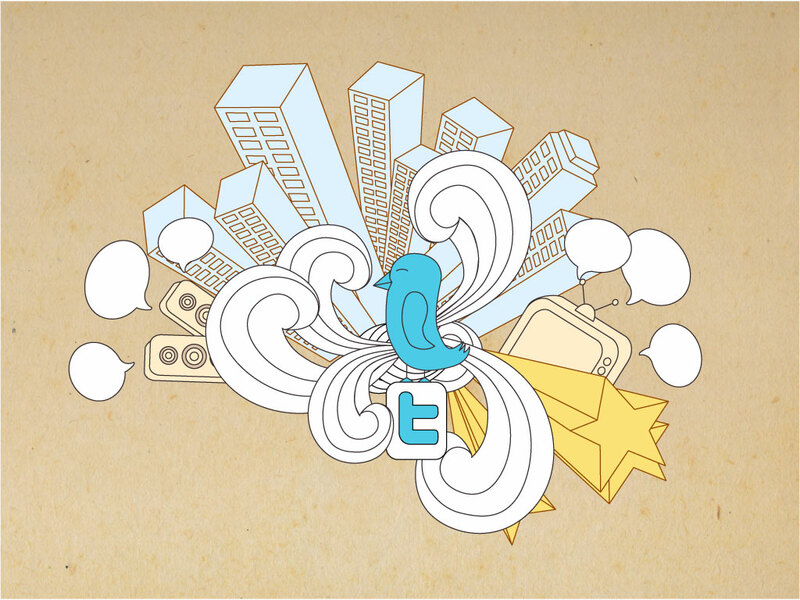 Download this cute cartoon style Twitter collage for your website or blog. A cool design and a fun way to link to your Twitter account. Tags: Bird, City, Collage, Communication, Social Media, Tweet, Twitter, Urban.